Eubena Nampitjin was born in Tjinndjaldpa, south of Jupiter Well in the Great Sandy Desert, Western Australia. This area, on the Canning Stock Route and over 350 kilometres inland from Port Hedland, is one of the most remote places in Australia. Nampitjin had little contact with non-Indigenous Australians until the late 1940s, when she travelled to Old Mission with her children and first husband. She moved with the mission in 1963 to its present site at Balgo, or Wirrimanu as it is traditionally known. Nampitjin is an elder of the Wangkajunga people, a custodian of women’s law and the most senior woman artist working in the area. While at the mission, she has regularly returned to live in her country for extended periods. Nampitjin started painting in 1986, when women were becoming more broadly included in the growing art movement centred on Wirrimanu. 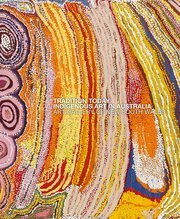 During that year she painted three canvases, one of which was included in the exhibition Art from the Great Sandy Desert at the Art Gallery of Western Australia, Perth, at the end of 1986. Further impetus to paint came in 1989, when the new arts organisation, Warlayirti Artists, was formed. Nampitjin, her husband Wimmitji Tjapangarti and their daughters all painted, often collaboratively. Nampitjin was awarded the Open Painting prize in the Telstra National Aboriginal and Torres Strait Islander Art Award in 1998.